I Just got my new iPhone 5, did "restore from backup" from computer to set up. My music and playlists did not transfer. I have some overdrive audiobooks on my old iPhone 4. If anyone can guide me on how to transfer these to my new phone, would appreciate it. Thanks! The question above was asked in a forum, and it is a regular question from many iPhone and Apple lovers. There are very few standard tutorials on how to do these things online, but this article will help you in how to transfer playlists from iPhone to iPhone. This could be because you bought a new iPhone and wanted to transfer your playlist, as well as the other files, it could also be for any other personal reasons. 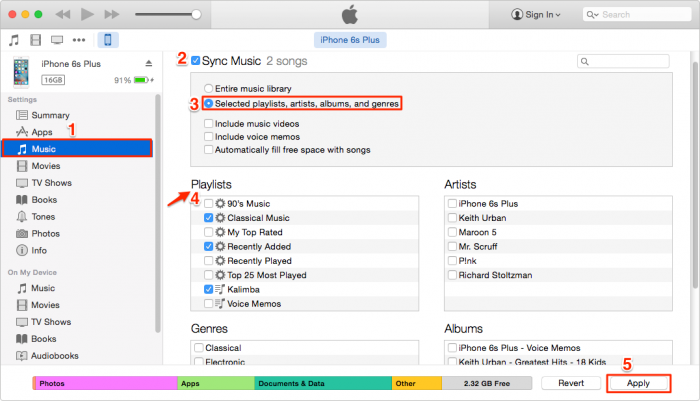 There are two ways to transfer your playlists from one iPhone to another. And you will learn those two methods in this article. The iMyFone iPhone Transfer is an app which helps individuals perform operations on their Apple devices, including Windows PCs’ too. This software helps you overcome every restriction set by Apple to their devices. And it is complete utility software which helps users do and enjoy more from their iDevices. 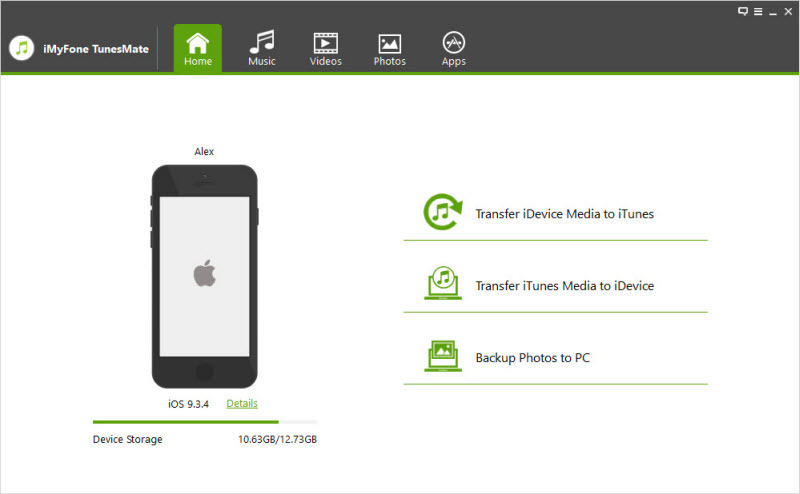 It also makes the transfer between Apple devices and other devices (such as your windows PC) possible. Transfer playlist selectively: You can transfer selected playlists or the entire playlist on your device to a new or entirely different device. Two-way transfer: It can be used to send files from iPhones to iTunes or MAC or Windows computers. It also enables you to synchronize files from either your iTunes or computer to your iPhone. Extract iOS files: It is also possible for you to extract files from an iPhone to a computer, MP3 player or an external hard drive. Bypass iTunes restrictions: This application allows you the ability to bypass any iTunes restrictions. You also have the luxury to overcome every known and unknown iTunes error. Support non-purchased files: The application does Support not only purchased Apple files but Also, every file purchased from Google/Amazon and all your freely-downloaded files. Step 1: You must first connect your iPhone to your MAC or Windows PC and then launch the iMyFone TunesMate. Step 2: Go to “Music” tab. On the menu which is on the left, depending on your choice, you might select a specific playlist under the “PLAYLISTS” option and choose the songs you want to copy. Step 3: However, If you want to transfer everything in one playlist, you can right-click on the selected playlist and choose “Export to iTunes” option. 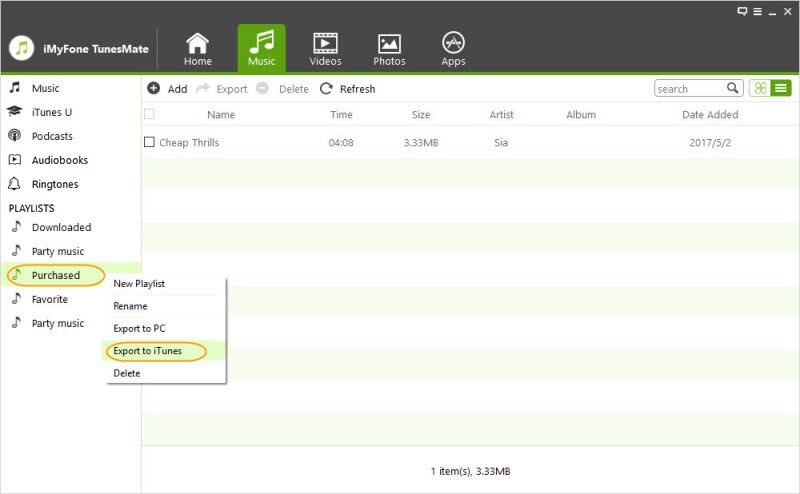 After exporting to iTunes, Use the “transfer iTunes media to iDevice” option in your tunesmate app to synchronize iTunes with your iPhone. After this, you have done the process to transfer playlists from iPhone to iPhone. Create and rename a new playlist: The Tunesmate app can be used to create new playlists or rename already existing playlists. Add music to playlist: It can also be used to add music to a playlist. Remove/delete a playlist from idevice: With the Tunesmate app, you can remove or delete playlists from any of your iDevices. Transfer playlist from idevice to computer: The tunesmate can also be used to transfer your playlists from your device to your computer. 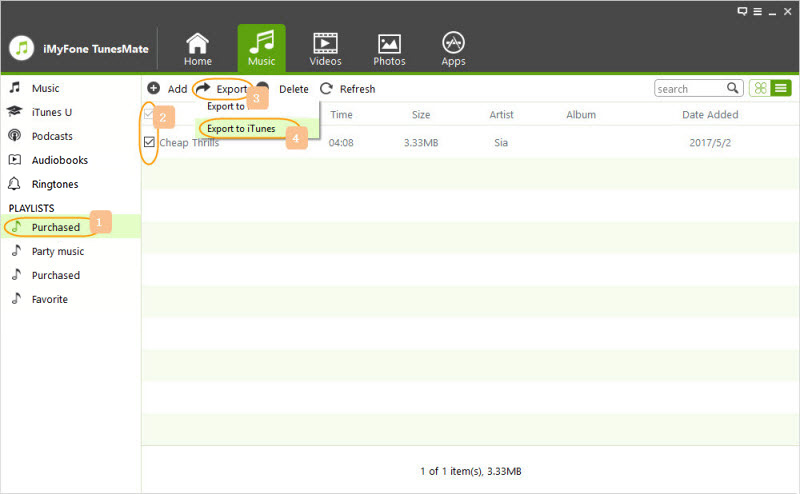 The second method is to employ the use of iTunes to transfer playlists from iPhone to iPhone. In using iTunes for this, you are about using a manual process. This method will not allow an update in the playlist. It only moves the playlist as it is, when you try to recover it at a later time, the updated music (or newly included music will only be added, the old ones will not be updated with it). This process utilizes the iTunes 12. Step 1: Click the “Music” tab on the left side area. Step 2: Tick the “Sync Music” box. Step 3: Check the playlist(s) you wish to sync. Step 4: Select “Sync, ” and your playlist should sync. Step 5: Click "Apply". Then on the new device, repeat the opposite process to get your playlist sync with it. All your future updates of the playlists on the iPhone will be done manually. The music in the new playlist would also override the music in the old, which means you will lose the old data you had.